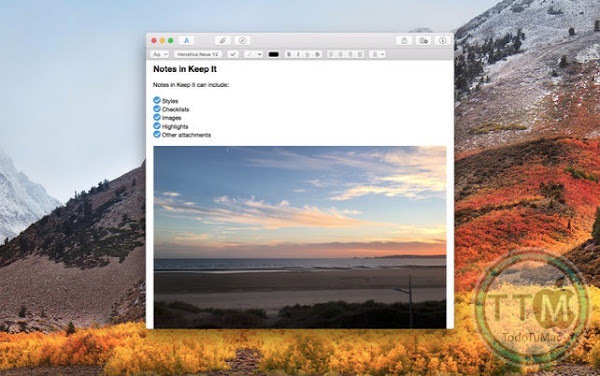 • Notes with styles, checklists and attachments that look good and read well on all your devices. • Web links with live previews, or saved as PDFs for offline viewing. • Rich and plain text files, and Markdown documents. 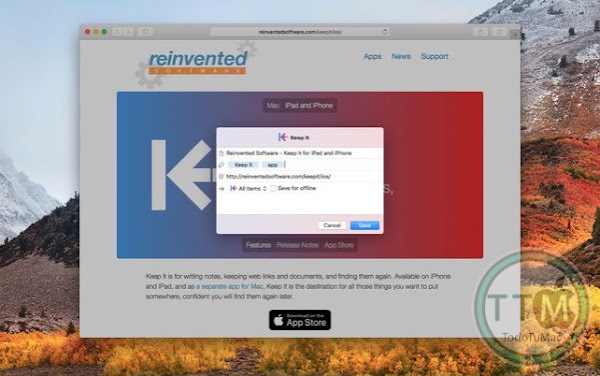 • Add highlights and notes to PDF documents. 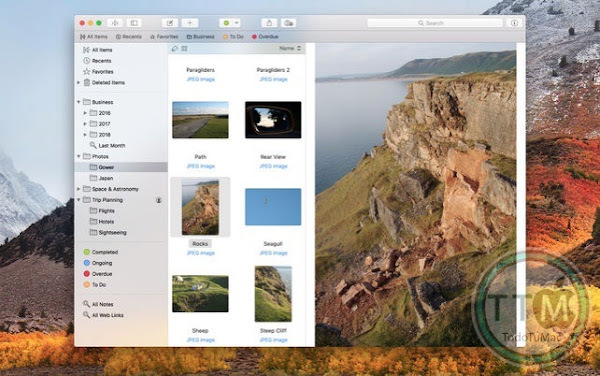 • Add any other kind of file, and see previews for most images, documents, web pages, and more. • See summaries and thumbnails in the list for most files. • Use icon view to browse items by their thumbnails. • Use the Recents list to see things you’ve added or viewed lately. 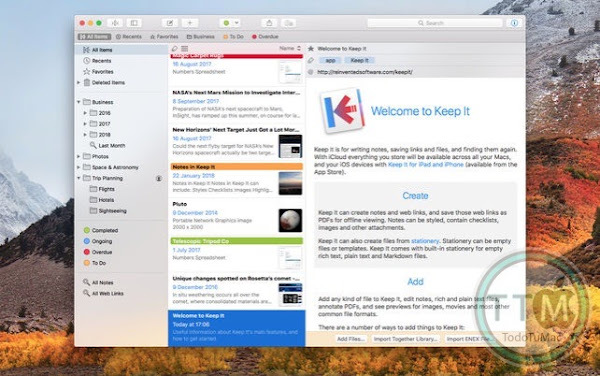 • Share folders and items with other Keep It users via iCloud. • Folders let you organise things hierarchically — select a folder to see everything it and its subfolders contain. • Use bundles to gather items into one place — items can be in more than one bundle at a time. • Use labels to color-code items for quick visual recognition. • Add searchable tags and comments. • Make items favorites and drag lists to the Favorites Bar for quick access. 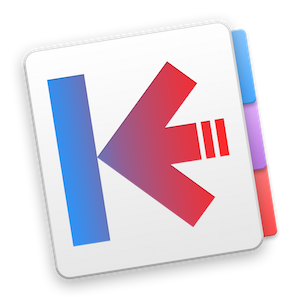 • Search everything in Keep It: names, tags, file contents, dates, kinds and more. 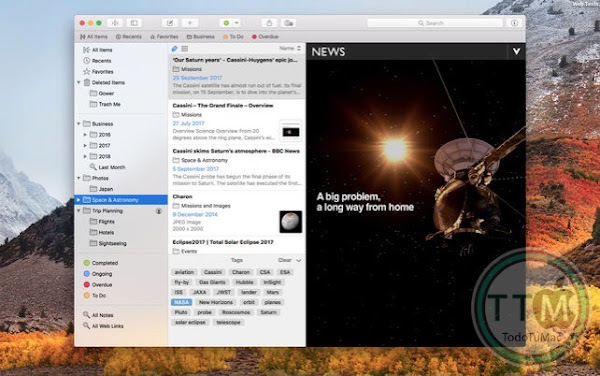 • Choose suggestions as you search to create complex searches with ease. • Use keywords and natural language for dates while searching. • Save searches for later reuse. • Use the Tag Filter to see all items with a tag and any other relevant tags; choose another tag to drill down further. • Compact Mode reduces the app to a single column, ideal for using alongside other apps. • Drag pretty much anything to Keep It. • Copy clickable links to items in Keep It. • Share extension can add links, text, images and other files, and append text to notes from within other apps. • Save files to Keep It’s folders to automatically add them to the library. • Use a bookmarklet to add links from web browsers that don’t use Share extensions. • Markdown editing and preview. • Create stationery items in their own windows.